Will it be backless, colourful, or classic ivory lace? Spring 2019's wedding fashion trends are about to be unveiled, as Barcelona gears up for the 28th edition of its "Bridal Fashion Week" extravaganza. More than 370 companies from all over the world are set to partake in the trade show when it opens at the city's Montjuïc Exhibition Centre later this month -- a 20% increase on last year's numbers. At the heart of the event will be a runway show unveiling the latest bridal fashion looks and trends. A total of 27 labels will take to the catwalk to showcase their new collections, including major brands such as Pronovias, Rosa Clarà, YolanCris, Isabel Sanchís, Sophie et Voilà Collection, Cristina Tamborero and Marco and María, amongst others. This year, for the first time, the luxury American-born Lebanese designer Reem Acra will also be taking part in the show. "I am thrilled to show my Spring 2019 bridal collection in Barcelona, a place of beauty and culture like the women who embody my designs," said the designer in a statement. Additional high-profile labels set to be present at the trade show include the US brands Maggie Sottero and Badgley Mischka and the Italian brand Caroline Castigliano. Spanish actress Rossy de Palma will also be on hand to present the "Elle International Bridal Awards," a ceremony set to take place on April 27. 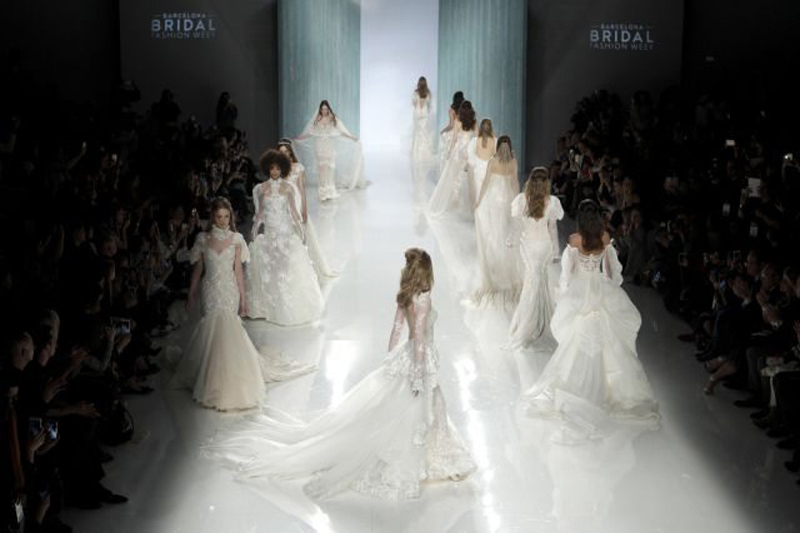 Barcelona Bridal Fashion Week will run from April 23 through April 29.